It was a recurring theme, it seemed. 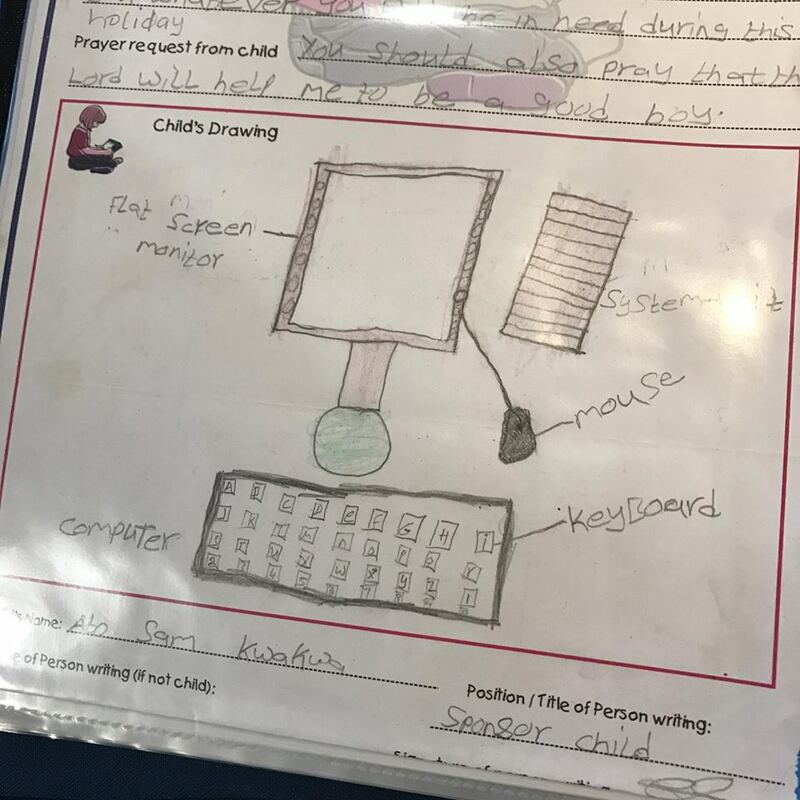 In many of the letters our sponsored child wrote to us in the past 7 years, Ato Sam included drawings of computers, laptops, monitors, and keyboards. Technology was something he was learning about in school. In rural communities like his, access to computers is a luxury. Children learn about technology in school, but without the benefit of a computer to practice on -- much less a computer lab. As they get older, students are expected to take the National ICT Exams (Information, Computer, Technology) in order to further their education. The government understands that in order for their economy to grow and thrive competitively in the global market, technology must become part of the curriculum. Great emphasis is placed on passing the ICT exams, but the resources to level the playing field for all students is sorely lacking. Students from large urban centers who are exposed to computer equipment they can learn from and practice with consistently do better on these exams than students from remote areas learning computer skills without access to the same resources. The community leaders in Enyan Abaasa knew the lack of computer equipment resources was a significant obstacle in their community in terms of education, and for vocational opportunities as well. It's not only students that would benefit from these resources, but their families too. Providing access to computer training for an adult would open doors for jobs that would have been out of reach without computer skills. When planning the literacy center building several years ago, the Greater Grace Child Development Center where Ato Sam attends made the decision to step out in faith and reserve the largest portion of the literacy center building for a computer lab. Once completed, this computer lab would serve the entire community. 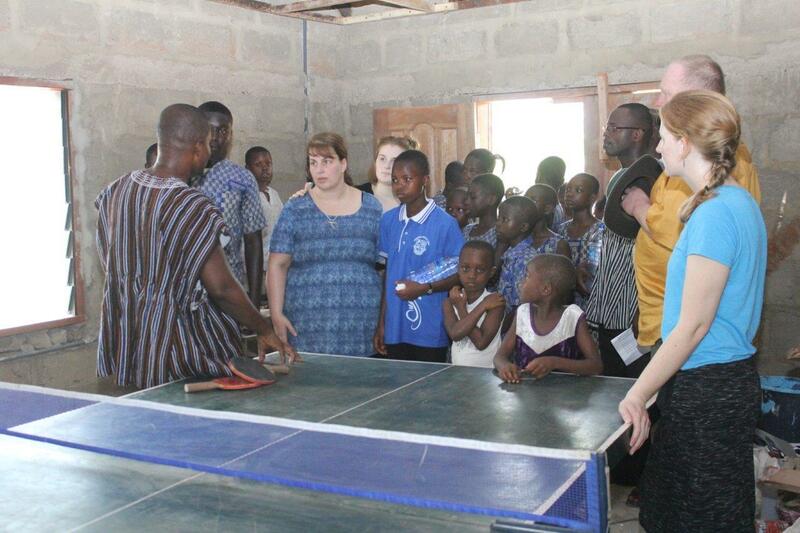 When we traveled to Enyan Abaasa in April, we were shown the literacy resource center in person. It was beyond our expectations -- it was clear they had thought the plans through carefully, and the result was a carefully built resource center that would serve the community very well. The door on the left (closed) leads to the office, storage room and bathrooms. The open door in the middle is for the library. The door where the gentleman is standing leads to the computer lab room. The heart of the literacy center is the library portion in the middle. Shelves line the walls, with benches and tables in the center for people to read, research and study with the help of the library books. To the left of the library is a doorway leading to an office, and further down the hallway were two bathrooms and a small storage room. The bathrooms don't yet have plumbing fixtures, but once it has running water and fixtures, it will be another valuable resource for the community. Currently only a third of the people in Ghana have access to sanitation infrastructure. Running water is rare in the majority of homes, much less toilets and sinks. Through a separate exterior doorway to the right of the library is the future home of the computer lab. The unfinished room is roughly 20' x 30', enough to have a dozen workstations along with a teacher's desk and other equipment, such as a printer, tablets, etc. We heard so much passion in the leaders' voices when they gave us a tour of the future computer lab. We listened as they explained why they chose to earmark a significant portion of the literacy resource center for this, and how much of an impact it would make for their community really moved our hearts. It was clear. Without this, the literacy center wouldn't be complete. I had suspected all along that it would be the step of our partnership with Enyan Abaasa. This visit confirmed it. It didn't surprise me to receive that all too familiar feeling of what we would be working on next. I've come to expect it on these trips. In all honesty, though, I had planned to take a small "breather" from global projects after this trip, much to the amusement of anyone who knows me. My husband, my kids and my co-workers would roll their eyes or laugh and say "You mean, like for a day, or maybe two?" They knew me well. I have been working on humanitarian projects for the past 7 years, sometimes on more than one major project at a time, and this trip was my 7th in as many years. He felt the same urgency I did. I could tell by the way he spoke about it that his heart had been captured in the same way mine had. When he and I first met, he was not involved in any non-profit work, and was somewhat skeptical of charitable organizations and giving to projects in developing countries. The more he got to know me and saw the work I was involved with -- hearing the stories and getting to know the people -- the more his perspective changed. We are very careful with donations -- our own funds and the funds entrusted to us to donate to these projects. We work hard for our money and want it to have a significant positive impact where it is spent. He trusted me with these decisions, knowing I had done my homework and was careful about which organizations we supported. Still, as encouraging and supportive as he became, he was not as directly involved as I was other than to willingly agree to give of our resources to these worthwhile efforts and to be my sounding board and a source of encouragement. He just had no personal reference points, having never traveled outside of North America or spent time with these people that I have come to love. And so I patiently prayed. As the trip approached, he became more interested. 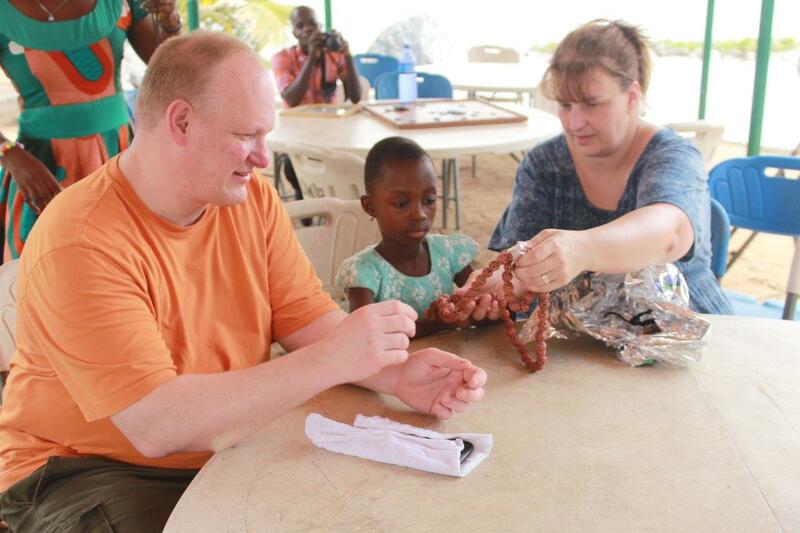 As we arrived in Ghana, he became completely invested. He was the first to say those words -- "When we come back..." He said it the very first day we spent in Ghana, and all the more after our time in Enyan Abaasa. 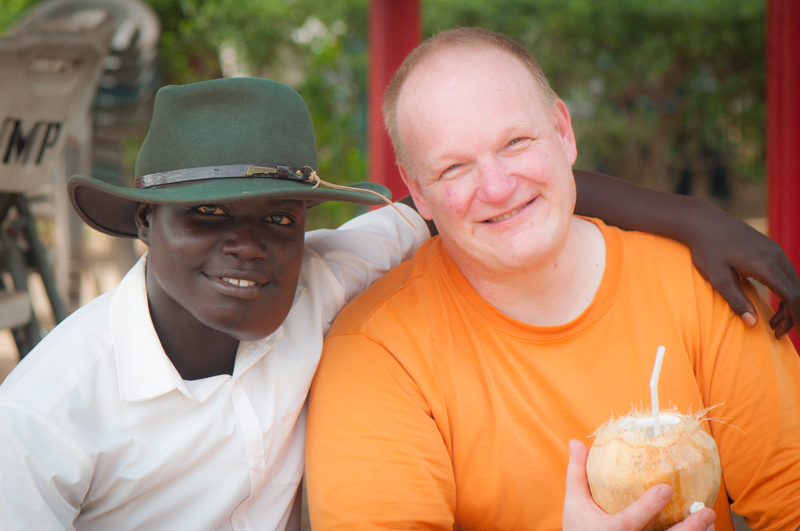 Even when we came back home, exhausted and completely spent, he was still talking about our return to Ghana. He spoke about the trip and all that we experienced to his clients and to his friends. He talked about it as much as I did -- which astounds the kids, I'm sure. Just when I thought I couldn't love him more. And so, here we are, at the beginning of the rest of the journey. Sharing our love for Ato Sam. For the people of Ghana. For God's heart in this. Roughly a month after we returned from Ghana, I received the news that I had been awarded the UTE Humanitarian Award at work for the second time. The award includes a financial donation towards the charity of my choice. I called Will to share the news and to ask him for his thoughts on where we should direct the prize funds. 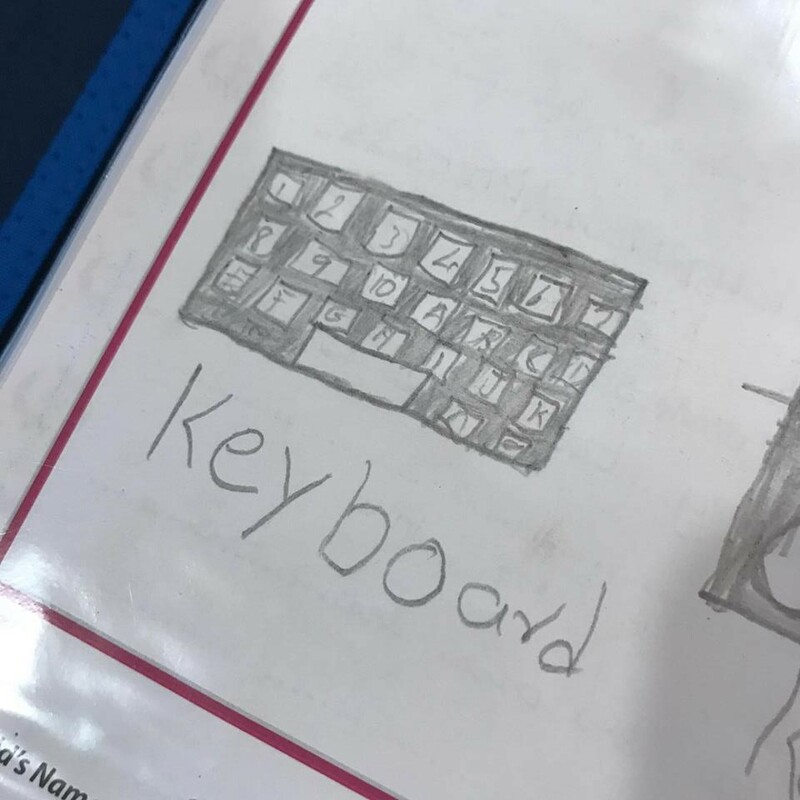 His response was immediate and enthusiastic -- "Send it to Compassion right away to help get the computer lab started. They already have the basic construction done, all they need is to finish the interior, build the furniture, and obtain some computer equipment. The funds should help them finish the interior, maybe even more. Once that's done, we'll find out what's left to do, and we'll take it from there. 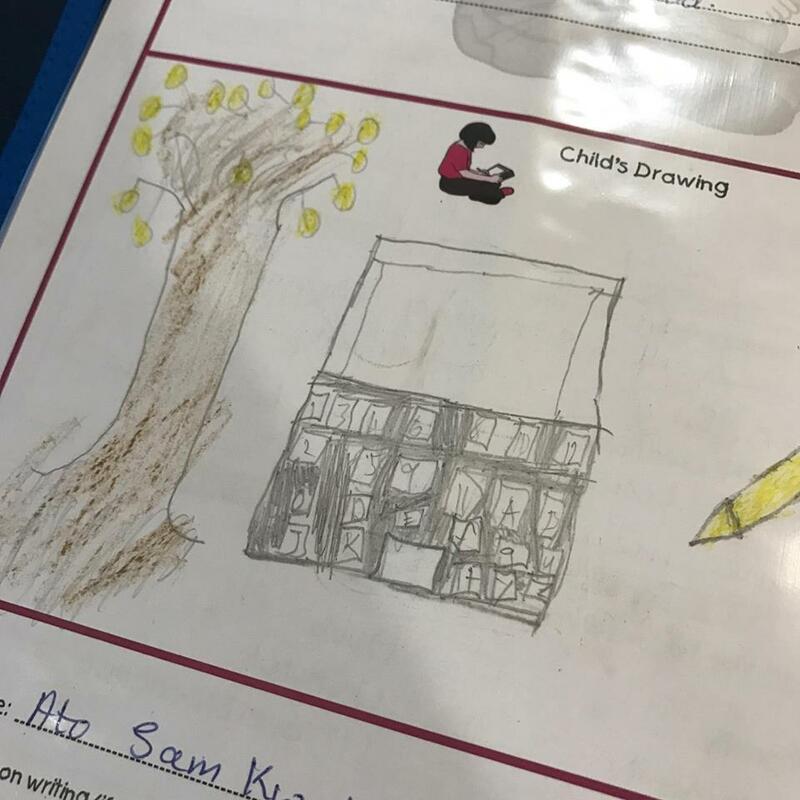 They'll be so encouraged to receive report so soon after our time there, that will show them how important this is to us, and how supportive we are of the work they've done so far. The timing is perfect, this is such good news for them!" We sent the prize funds to Compassion right away. While we wait for a progress report from Ghana and an idea of how much will be required in order to finish the rest of the computer lab, we are brainstorming on some fundraising ideas and other resources that will help them see this through. 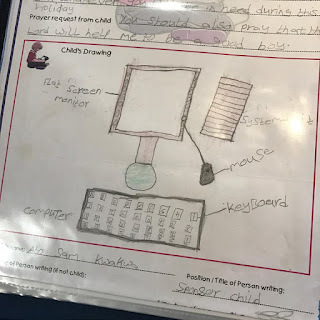 In the meantime, Ato Sam still sends me drawings of computers when he writes. Imagine his excitement once the computer lab is finished? Ghana keep going... together... for technology.